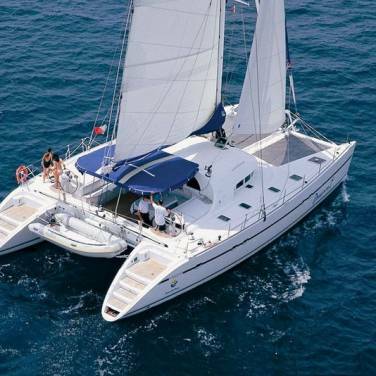 Gulet San is a beautiful cruising yacht with two masts, offering exceptional cruises in Croatia. 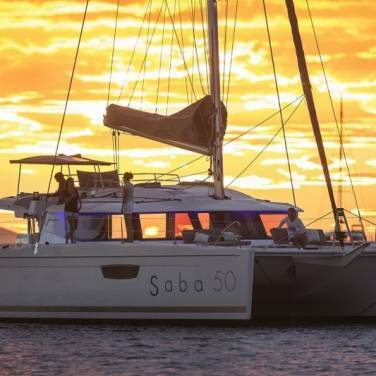 It accommodates up to 12 charter guests in 6 lovely double-bed cabins, all with private en suite bathrooms and air conditioning. Completely refurbished, the yacht beautifully blends modern and traditional style with its interior covered in mahogany and paired with elegant furnishings. There is a comfortable seating area and a dining table in the salon whereas the windows let in plenty of natural light, further emphasizing the warm wooden tones. With the size of 22 meters, this gulet offers vast outdoor spaces; the central part being ideal for sunbathing and the aft deck featuring a covered dining area perfect for enjoying a wide array of delicious Mediterranean meals prepared especially for you by the private cook aboard. Those who like a more active vacation will be delighted with plenty of water toys, such as kayaks, water skis, fishing and snorkeling gear while scuba diving can be arranged on demand. The crew aboard San contains three members eager to provide a relaxing and friendly ambiance and a high-quality service aboard. 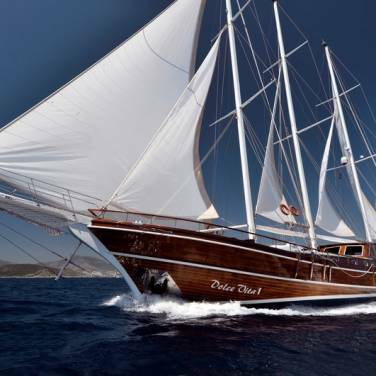 Gulet cruising represents one of the easiest ways to explore many fascinating isles and ports along the Adriatic coast. Embark on gulet San, enjoy in the perfect blend of culinary delicacies and leisure activities, and experience an extraordinary cruising vacation.